On Tuesday, November 14, 2017, while most community memebers voiced their support for the measure as being a step in the right direction, many also expressed their concern over the Grand Rapids Police Department being left largely outside the purview of the new Equal Protection Policy. 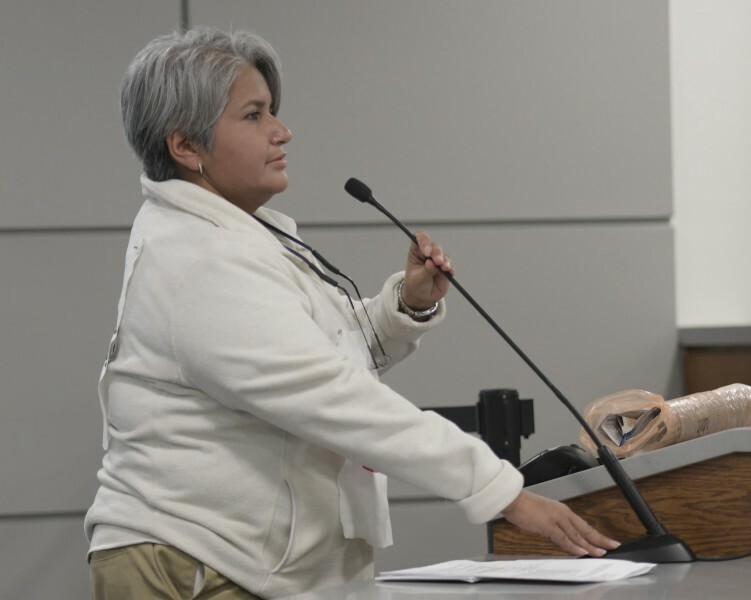 On Tuesday, October 24, 2017 over 50 men, women, and children spoke before the City Commission asking that an Equal Service Policy be passed to protect the immigrant community from potential fear, intimidation, and harassment by City staff and employees. At that meeting, Commissioners Joe Jones and David Allen assured those in attendance a policy was being finalized by the Community Relations Commission (CRC) and was scheduled for a vote on Tuesday, November 14. On this past Tuesday, many of these same citizens again packed the City Commission Meeting waiting their turn to discuss the newly passed policy. 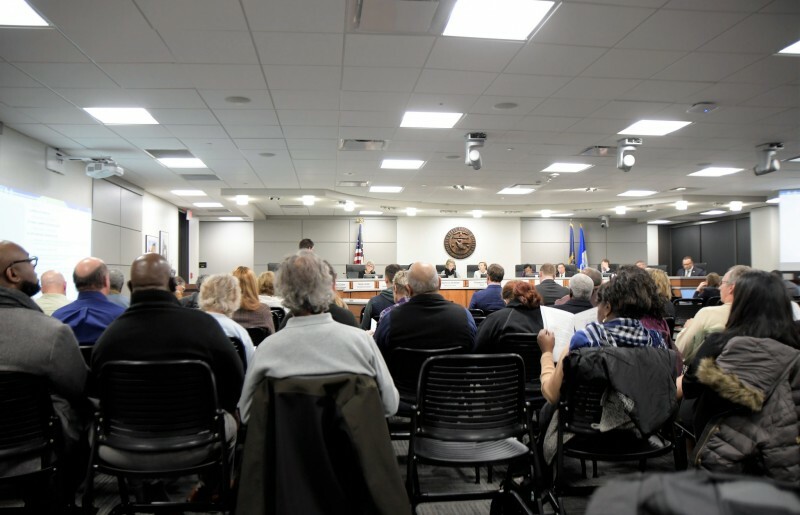 While most voiced their support for the measure as being a step in the right direction, many also expressed their concern over the Grand Rapids Police Department being left largely outside the purview of the new Equal Protection Policy. 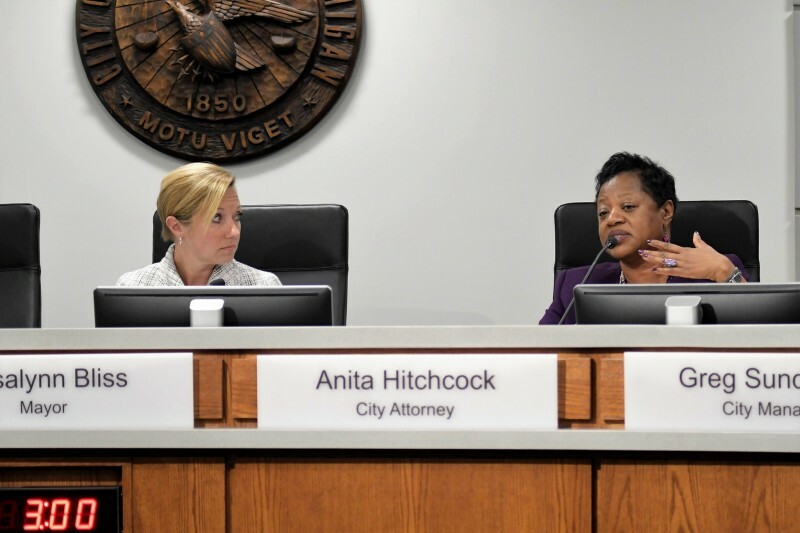 The traditional protocol of City Commission meetings is that during public comment periods none of the members of the Commission will directly respond to the questions, comments, or concerns brought before them. However Tuesday evening Mayor Bliss broke from this tradition allowing City Attorney Anita Hitchcock to address concerns regarding the GRPD and the new Equal Service Policy. No public servant shall coerce, including making improper or unlawful threats of deportation, or engage in verbal abuse of any person based upon the person’s or the person’s family members’ actual or perceived immigration status or national origin. This explanation didn’t quell the concerns of citizens as they continued to speak before the commission. Martha Cooper expressed her displeasure that the city didn’t make readily available information regarding the GPRD’s Impartial Policing Policy and its impact on the content and scope of the Equal Service Policy. Marie-Claire Camp spoke about how the policy was passed during the morning Committee of the Whole meeting without any opportunity for public comment. She pointed out that the new Equal Service Policy, “Does not include police as public servants in the description," suggesting this could exempt the GRPD from being held accountable by its provisions. And so she did. For 1 minute and 42 seconds she, and the room, stood in silence. This act of solidarity was repeated throughout the public comment period. 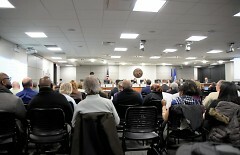 Citizens continued to voice their concerns about the GRPD being excluded from the Equal Service Policy, they asked the Commission to be bold and move forward in making Grand Rapids a truly welcoming city, and then gave the rest of their allotted time to those living in fear, and stood in silence. For a schedule of City Commission meetings click here. For a schedule of Committee of the Whole meetings click here. For video/audio of meetings click here.